Once you slide behind the wheel of your new Honda, you can feel that you have a reliable vehicle right at your fingertips. Press the gas pedal and you’ll find zippy handling in your favorite models. Pump the brakes, and you’ll feel your Honda working for you and your safety. Whether you are heading out on a road trip or taking care of errands around town, you rely on your Honda to run strong. Your Honda’s parts and accessories help keep your Honda the most reliable vehicle you’ll drive yet. To keep your Honda running smoothly, you need to update your car’s parts as needed. 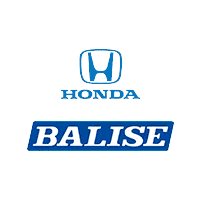 Here at Balise Honda of West Warwick we offer our customers our well-stocked Auto Parts Center to keep your Honda running strong. We always encourage our customers to choose genuine OEM parts and accessories to keep their Honda a Honda. We make the process quick and easy by offering our online request form and staffing knowledgeable employees. As soon as you get an inkling that you need a new Honda part, we’ll have your back! We encourage you to take advantage of our long service hours as soon as you can! All you have to do is tell us your model, year, VIN, and some contact info, and we can get the process started. We look forward to seeing our customers from Coventry, Cranston, Johnston, & Providence, RI.